Download the drivers to your notebook. Right-click the driver and select "Run as administrator" to start installation. The printer driver has been modified to simplify the installation procedure. 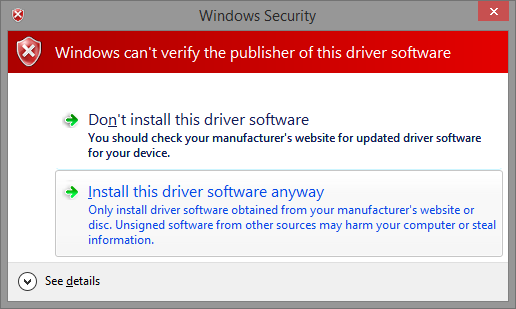 Press "Install this driver software anyway" when you see the following dialog box. Installation will be completed in a few minutes.